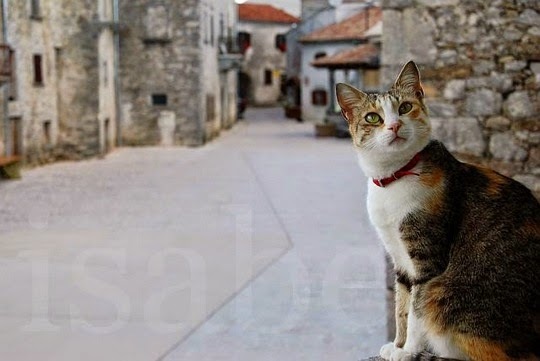 Squeaky the cat is a local celebrity in Gračišće, a hilltop village in Istria, Croatia, but not for the reasons you might suspect. She's originally from Bangalore, India, where she was an avid hunter. Her owners brought her to Gračišće to come and live with them. 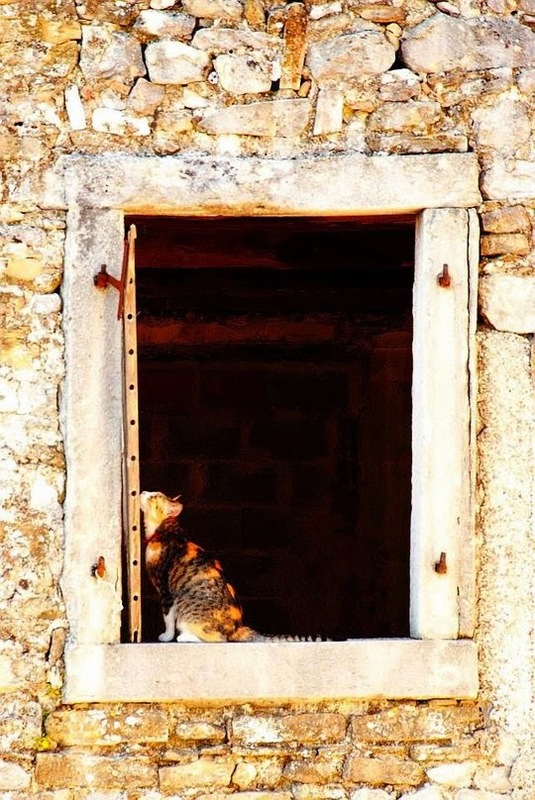 This is seen as odd and amusing by the locals, because in Croatia cats and dogs are often not allowed inside the house and there are clear limits on how affectionately pets are treated. You can read squaky's complete story here. Love those. Have a serene and easy Sunday. Squeaky is very pretty. 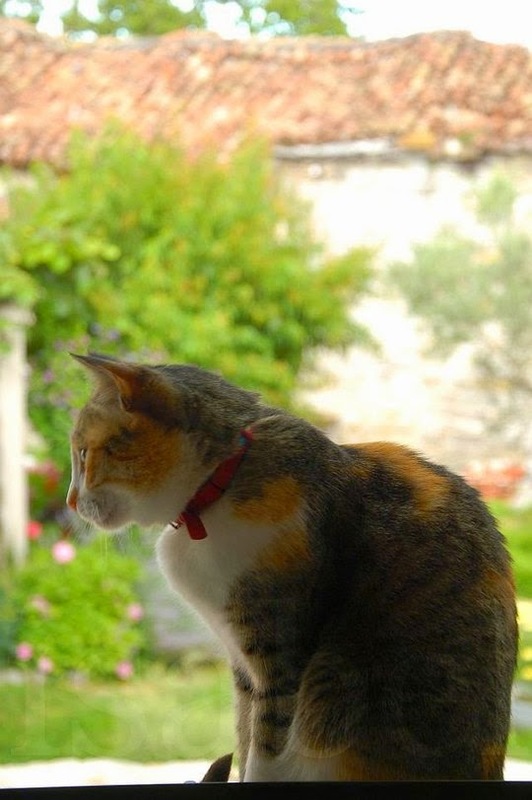 So interesting that cats and dogs aren't kept inside in Croatia. Squeaky is gorgeous! Going to go read the story now! Love all your beautiful pictures as always! That sure is a beautiful Kitty! Great pictures! Yous gots our interest piqued! Nows wes gots to goes and reads about Squeaky! Squeaky has such beautiful fur! Thanks so much for featuring my South Indian kitty Squeaky! Squeaky has been enjoying the sunshine today and has just settled down for a nap. And thank you dear readers for all the comments! Squeaky looks well cared for and very content. The streets are so clean. Squeaky looks fat and happy. People here don't usually have pets either. I think that's not really done in nations where people are struggling to buy food for themselves. Lovely pics! Cats don't belong in the home? Don't we build homes for cats and they let us live in them because we have thumbs? Calico cats are and always will be my favourite. Squeaky is such a beautiful kitty! I didn't know people in Croatia look cats and dogs in such way. Squeaky a bien de la chance et c'est tant mieux, car elle profite d'un statut privilégié ! What a happy story for Squeaky! I'm going to go read her story next. It's too bad about most cats and dogs in Croatia. I love her selfie! What a lovely cat! These camera thingies have timers? Cheater! 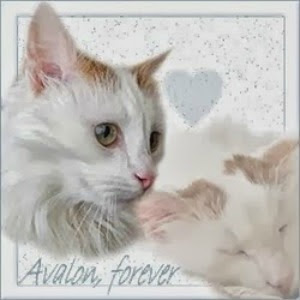 :) So glad to see you share photos of one of my favorite celebrity cats! Nice pictures, love the one with the cat on the chair. Have a nice day, Vanessa. We enjoy your posts. Thanks! Such a beautiful cat. I love that last shot. The composition is perfect. just beautiful! I love the Calico Girls! Un destin particulier pour une chatte à la robe magnifique. Je ne suis pas toujours fan des écailles de tortue mais là ... éclatant. 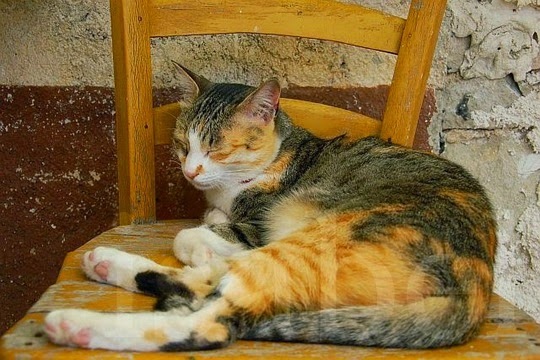 Great photos and it certainly looks like a very contented cat. Que tes photos sont belles !!!! Great photos and I shall enjoy reading about this lovely cat. Thanks for visiting my blog. This cat is beautiful! The first picture is especially awesome. I would have to click on that link to read about this story. Sounds very interesting already. she is a beautiful cat and looks well loved. There are limits on affections towards pets? I would not do well there! I live for belly rubs!! I love her! Beautiful face! Beautiful eyes! Beautiful fur! 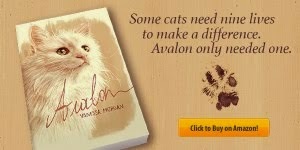 What a beautiful cat and so interesting to read how different the customs are there. The best Taxi booking service provider in India is Travelodesk. Book Agra Ajmer Taxi Service online. I really like your website. You are really giving good information with quality content. Loved your pictures.. Thanks a lot to share this post! Thanks for sharing this wonderful destination tour guide with us, If you were to spread a map of the world flat the town of Ludbreg in Croatia would be bang in the centre.